To examine the inter-rater reliability of Autism Diagnostic Interview-Revised, Japanese Version (ADI-R-JV), the authors recruited 51 individuals aged 3–19 years, interviewed by two independent raters. 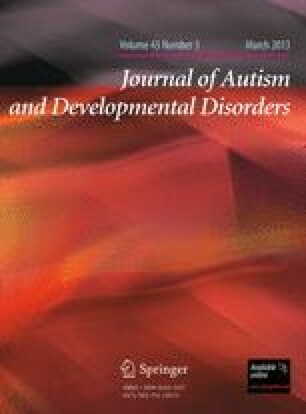 Subsequently, to assess the discriminant and diagnostic validity of ADI-R-JV, the authors investigated 317 individuals aged 2–19 years, who were divided into three diagnostic groups as follows: autistic disorder (AD), pervasive developmental disorder not otherwise specified, and other psychiatric diagnosis or no diagnosis, according to the consensus clinical diagnosis. As regards inter-rater reliability, intraclass correlation coefficients of greater than 0.80 were obtained for all three domains of ADI-R-JV. As regards discriminant validity, the mean scores of the three domains was significantly higher in individuals with AD than in those of other diagnostic groups. As regards diagnostic validity, sensitivity and specificity for correctly diagnosing AD were 0.92 and 0.89, respectively, but sensitivity was 0.55 for individuals younger than 5 years. Specificity was consistently high regardless of age and intelligence. ADI-R-JV was shown to be a reliable tool, and has sufficient discriminant validity and satisfactory diagnostic validity for correctly diagnosing AD, although the diagnostic validity appeared to be compromised with respect to the diagnosis of younger individuals. The online version of this article (doi: 10.1007/s10803-012-1606-9) contains supplementary material, which is available to authorized users. Declaration of interest: None of the authors have any conflict of interest to declare. The authors thank Dr. Masahiro Oshima, M.D., for recruiting children with ASD. Funding of this study was provided by a Research Grant from the Ministry of Health, Labour and Welfare of Japan (H20-KOKORO-004: K.J. Tsuchiya, Y. Kamio), by a grant for the National Center for Child Health and Development (21S-3: K. J. Tsuchiya), by the Pfizer Health Research Fund (K. Matsumoto), and by Grants-in-Aid for Scientific Research from the Ministry of Education, Culture, Sports, Science and Technology of Japan (A) (No. 20591396: N. Takei). These funding sources had no role in the study design; in the collection, analysis and interpretation of the data; in the writing of the report; or in the decision to submit the paper for publication.